Elegant styling. Little top-down turbulence. Good selection of petrol and CDI diesel engines. Roof folds down (and up) on the move. Not very exciting or involving to drive. Awkward shaped boot, Cramped rear seats. Springy manual gearchange. Four-cylinder diesels noisy with roof down. 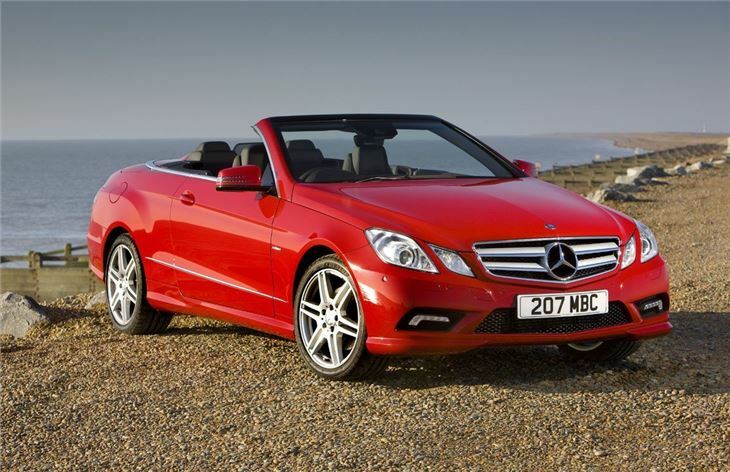 You won't find a CLK Cabriolet in the Mercedes-Benz range any more. 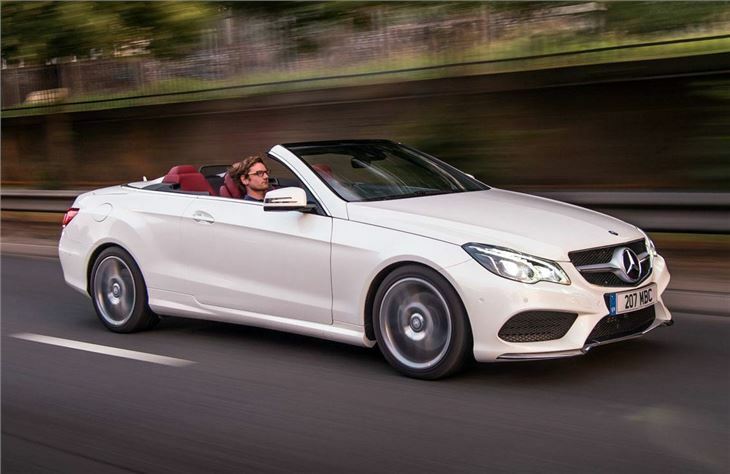 That's because it's been replaced with this - the E-Class Cabriolet. In many areas, it's business as usual. It's elegant, refined to drive and continues to have a quick-folding fabric roof. 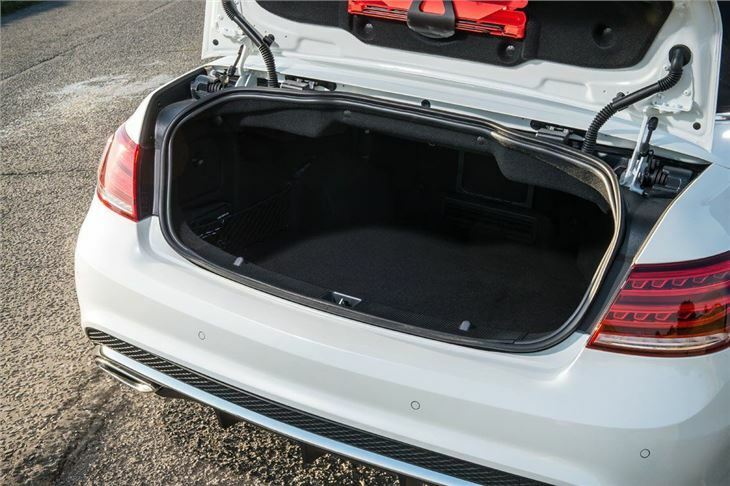 That means there's a reasonable amount of luggage space, unlike some alternatives with metal folding roofs. 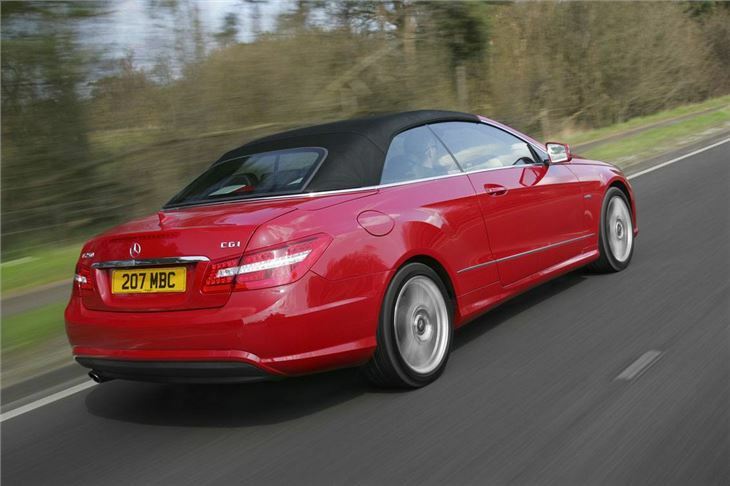 But in other ways, it's totally different to the old CLK. It feels larger, for a start, and there's now room in the back for two adults to sit comfortably. The previous CLK was based on the old C-Class, but this new car shares much more with the latest E-Class and the name change reflects that. The dash and switchgear is all from the E-Class saloon, so looks good and is intuitive to use. Standard equipment levels are decent and all models come with a system called AirCap, which prevents buffetting at high speed when the roof is down. You also get to choose from some of Mercedes-Benz's best options, including AirScarf, which blows hot air out from the seatback around your neck. 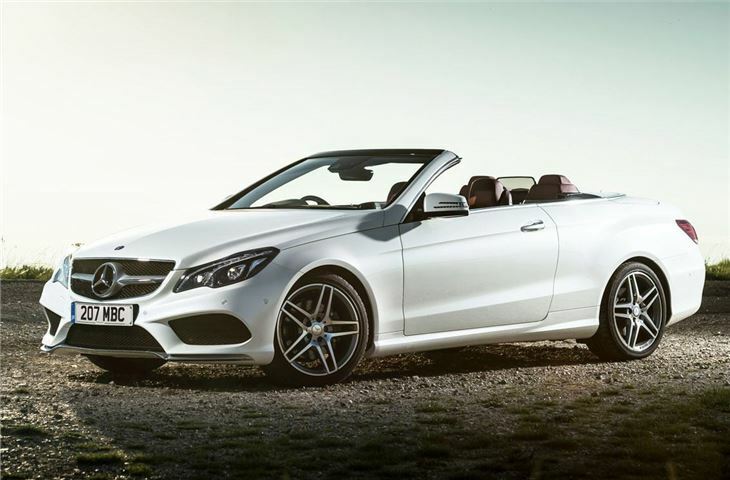 Of course the main feature is the folding roof and the E-Class Cabriolet features the most advanced fabric roof ever fitted to a Mercedes-Benz. It's acoustically tuned and features impressive levels of noise reduction and temperature insulation to create one of the quietest and calmest roof-up cabins of any fabric convertible. Ideal for year round use. 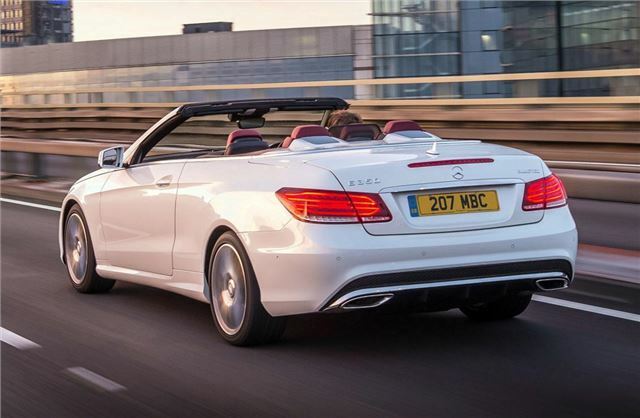 One the move it feels very refined but the handling lacks the sparkle of other drop tops, like the BMW 3 Series Convertible, so it's not as enjoyable or engaging to drive. Elements like the springy manual gearchange and a lack of steering feel don't help. It's very quiet at speed though and is surprisingly quiet for a convertible. There's also a good engine line-up with a spread of petrols and diesels, although the smaller four-cylinder E220 CDI and E250 CDI diesel models don't really suit the cabriolet image as they're too noisy.